2 hour workshop discussing the 5 Yamas (ethical & moral disciplines) and the 5 Niyamas (observances) followed by a gentle flow, integrating these concepts into the body on the mat. 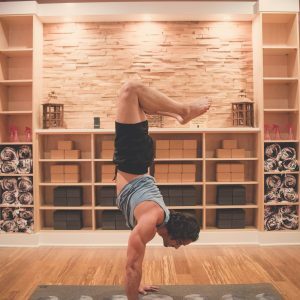 Saturday May 18th, 2019 from 2-4pm join studio RYT Jordan Marciano for a workshop on yogas 10 ethical principles of living and how to apply them to today’s modern world. Workshop will talk about the 5 Yamas (ethical & moral disciplines) and the 5 Niyamas (observances) then discuss how these concepts, which are part of the first two of the eight limbs of Ashtanga yoga as introduced in the Yoga Sutra’s of Pantanjali, can add to our lives off the yoga mat. The discussion will be followed by a gentle flow, integrating these concepts into the body on the mat. Recommended to bring both a mat and a notebook. Workshop is accessible for all levels. Cancellations on the day of, or late/no shows are non refundable.